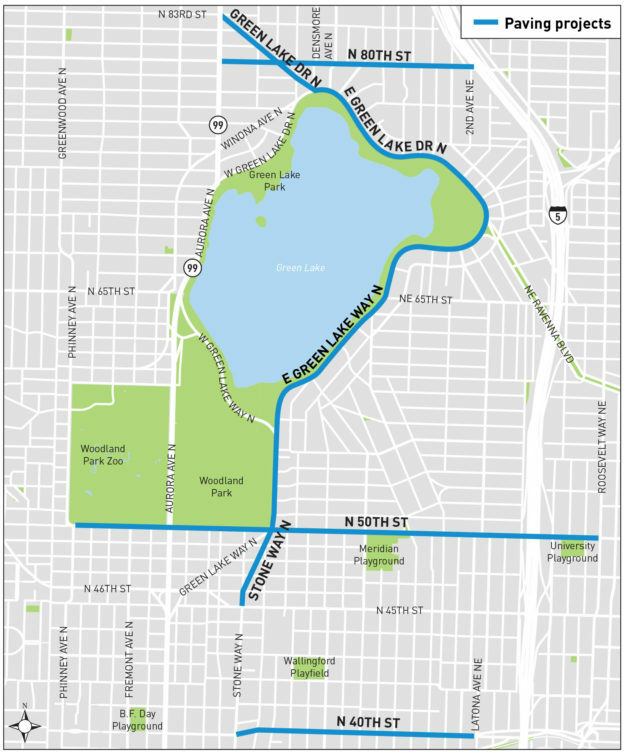 The Seattle Department of Transportation will pave arterial streets in Green Lake and Wallingford. Design will take place in 2017 and 2018, with construction as soon as 2019. There is a Drop-in Session at Billings Middle School, West Hall, 311 NE Maple Leaf Place on Saturday June 10, 10:00 – 11:30 AM. The N 40th Street crosswalk at Bagley Ave N is part of this project. This entry was posted in Quality of Life, Transportation on June 9, 2017 by Frank Fay.